There was some good news from the Indian defence sector on Sunday, 1 May. 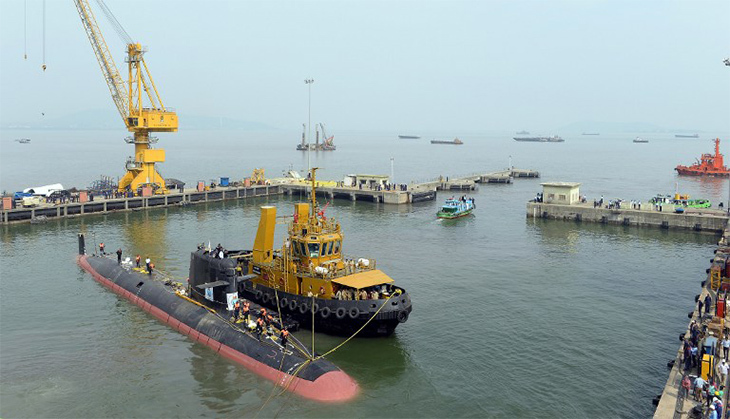 India's first Scorpene submarine - 'Kalvari', being built jointly with the French, underwent rigorous trials. According to the official communications, the submarine was successful in all tests and is likely to be inducted in the Indian navy within the year. But all is not well with India's 'Project 75', under which six attack submarines, including Kalvari, are being developed with DCNS, a French firm. The project is running at least four years behind schedule. 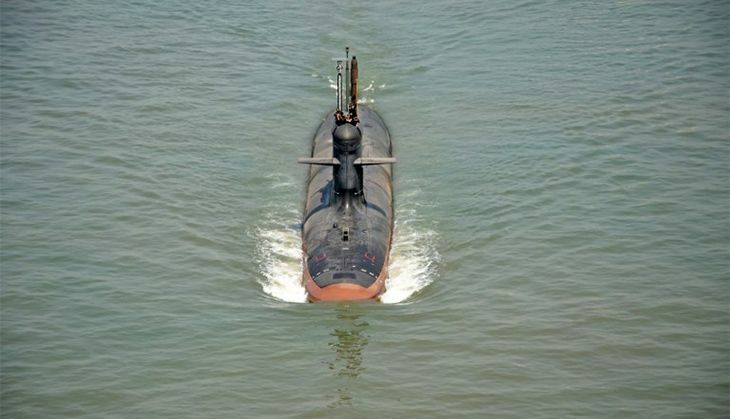 This comes at a time when India's deep water capability limited due to its obsolete vessels. The submarine program is getting delayed precisely when China, Bangladesh and Pakistan are modernising their navies. Here is a lowdown on Indian submarine program and on Kalvari's importance in it. Keeping in mind the pace at which its neighbours were upgrading their submarine program, India's cabinet committee on security in early 1999 approved of a '30-Year Plan for Indigenous Submarine Construction'. The motive behind the program was not only to remain two steps ahead, in defence capability, of one's neighbours. This program was also conceived with the idea of developing the necessary capabilities of building a submarine without relying on anyone else. Project 75 was part of this program, and Scorpene submarines are being built under it in a Rs 23,562-crore project. The submarines were supposed to be built and delivered in batches between 2012 and 2016. However delays have set back this program by at least four years now. The final batch of Scorpenes are not expected to be inducted before 2020. So what are Scorpene submarines and why are they so important? Kalvari is a first of six diesel-electric attack submarines being built for the Indian Navy. The 66-metre submarine can dive up to a depth of 300 metres to elude enemy detection. Once commissioned, it will be fully equipped with anti-ship missiles and long range guided torpedoes, along with modern sensor suite. A technology, called air independent propulsion system, will ensure that it stays underwater longer. According to a spokesperson for the Indian Navy, Kalvari will be able to undertake multifarious types of missions that are typically undertaken by any modern submarine i.e anti-surface warfare, anti-submarine warfare, intelligence gathering, operations by special forces and mine laying etc. There are two types of submarines. Diesel-electric (classified as SSK) and Nuclear powered submarines - nuclear powered attack submarines (SSN) and submarines that carry ballistic missiles with nuclear warheads (SSBN). Scorpenes are SSK submarines. The major difference between the two types are that SSKs have to surface daily to get oxygen for fuel combustion. Nuclear submarines are powered by a nuclear reactor, and they can continue to function submerged for months without having to surface. But any modern navy needs all three types of submarine boats. SSKs are required in shallow waters for immediate offensives while SSNs and SSBNs are suited more for patrolling and long range attacks. Indian Navy ideally needs to have three to five SSBNs, six SSNs and 20 SSKs for it to fulfull its blue-water capabilities. Blue water in maritime jargon means a navy that can penetrate deep into oceans, far from its borders. However the Indian navy operates 13 ageing conventional submarines, 10 of which are pre-1990 batch, and an Akula-II nuclear-powered SSN leased from Russia. Indian Navy has at the moment zero SSBNs (INS Arihant, an SSBN India is currently developing, is still undergoing sea trials), only one SSN - a Russian Akula class submarine taken on lease in 2012 for 10 years, 13 SSKs: nine Sindhughosh class (Russian Kilo class) and four Shishumar class (German Type 209) submarines. On the other hand, China possesses 53 diesel-electric attack submarines, five nuclear attack submarines and four nuclear ballistic missile submarines. And there are intel reports of Bangladesh's Navy stationing two ex-Chinese Ming-class submarines less than 1,000 km away from Visakhapatnam, which is the home to the Indian Navy's nuclear powered submarine fleet and the Defence Research and Development Organisation's (DRDO) missile test ranges at Balasore. China is also helping Pakistan Navy upgrade its hardware, and is learnt to have loaned eight submarines to Pakistan already.